The adidas Stan Smith sneaker is like the gift that keeps on giving. The silhouette is also very familiar with music icon Pharrell Williams, who has been very busy with the three stripes this year alone. Continuing to pay homage to the classic Stan Smith, Pharrell is droppin' his Tennus Hu model in a summer-ready pastel pack. Alongside the Tennis Hu, more colorways of the OG Stan Smith will be available to complete this large release. 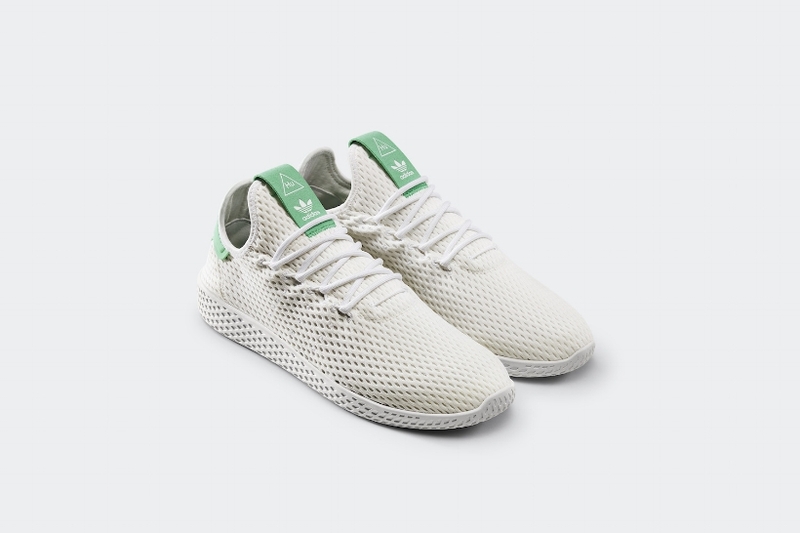 Constructed of mesh, the Tennis Hu will have two variations, one tonal pastel upper and the other style with an off white upper and contrasting tongue and heel accents. The Stan Smith sneaker will be constructed of premium leather and also have two variations. The classic color scheme with updates to the heel and tongue accents along with a tonal style dipped in either pink, blue, or a light green. Are you feelin' the remix to the Stan Smith model? 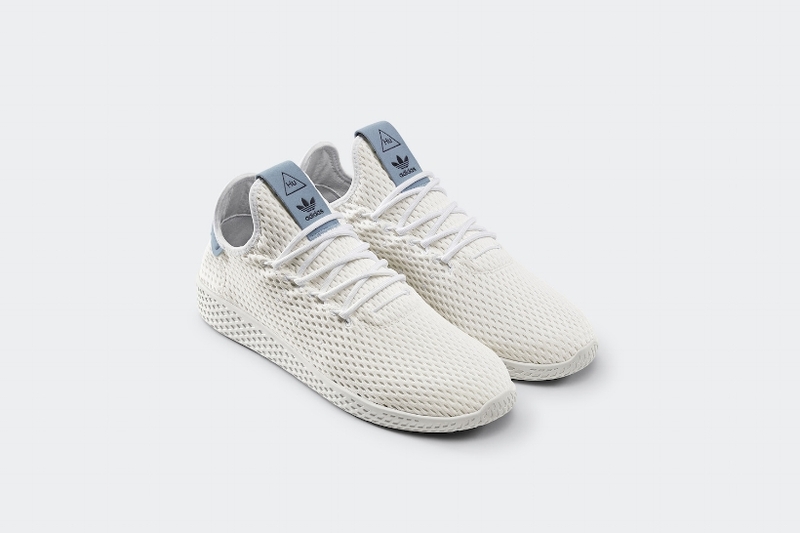 What are your thoughts on Pharrell's Tennis Hu sneaker? This pack will be available online at adidas and adidas retailers on Thursday 8/10 for $110 USD. We would love to see how you rock these on feet with your #CNKDaily #SneakHerStyle hashtags. Will This New adidas I-5923 Colorway Cater To A Full Size Run? The sneaker formerly known as Iniki. Cop or Can?